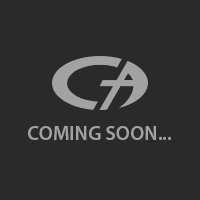 Armed with this knowledge, you can look to the right side of the interface. You play the game against the computer and at each hand, you get five tries. Basically, you click on the “new card” button and get five different hands against the computer. According to these rules, you can win or lose each hand. The winning hands will pay you in form of multiplier values, up to x20. Again, the goal is not to match the same symbols on the card – you are trying to beat the computer in a rock, paper, and scissors game. The idea is very neat and exciting, but the execution is far from perfect. 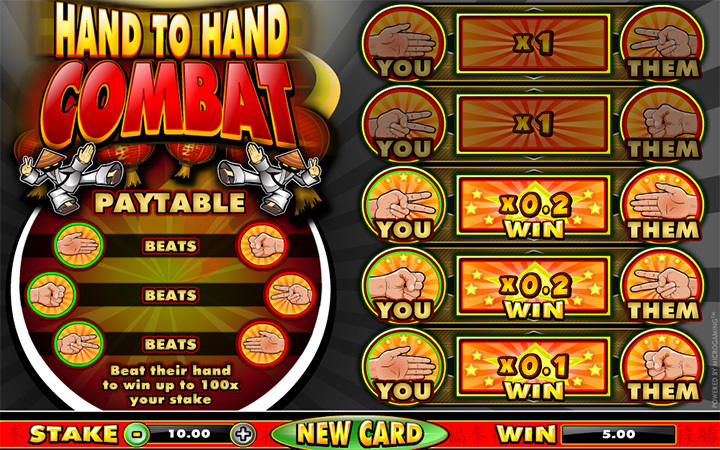 Hand to Hand Combat has potential, even to create a new category of casino games. For example, the option to play the game against real players instead of computer will be a nice touch, but no feature like that is implemented. Instead, what we have is a classic rock, paper and scissors game with very low payout amounts. The highest payout of the game is 1.000 coins – way lower than the industry standards. If you are looking for something new to try, Hand to Hand Combat is a good option. But let us remind you again: this is not a scratch card game and playing a child’s game gets boring very fast, especially with the low payout values. In other words, if you want to play scratch cards games online, Hand to Hand Combat may not be a good option.